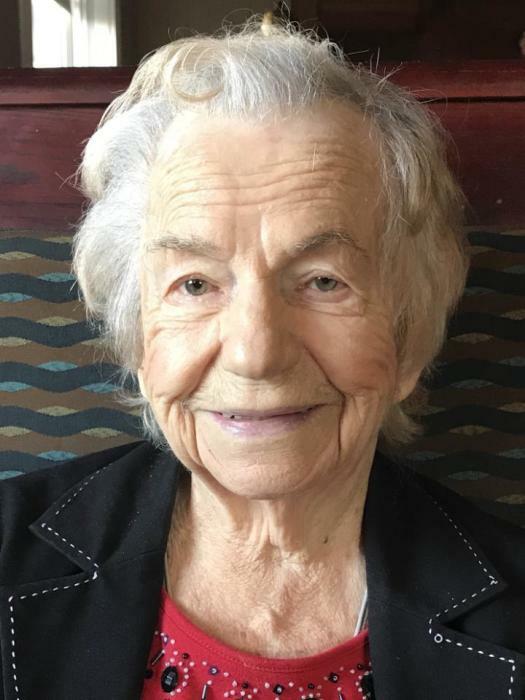 Helen M. Jeronis, age 93, of Langhorne, PA, passed away peacefully on Friday, March 22, 2019 at St. Mary Medical Center, Langhorne, PA. Born in Cumbola, PA, she lived in Philadelphia before moving to Langhorne 38 years ago. Prior to her retirement, she was employed as a waitress with Aramark Corporation for over 30 years. Helen was a parishioner of St. Andrew’s Roman Catholic Church in Newtown. She was a giving, generous, caring and strong person whose whole life was her family. Daughter of the late Anthony and Margaret (Grubliauskas) Rusatsky, wife of the late Joseph J. Jeronis, grandmother of the late Renee Jeronis, and mother of the late William M. and Joseph J. Jr., and Helen Ann Jeronis, she was also predeceased by nine brothers and sisters. She leaves to cherish her memory her daughter Monica Goldberg of Langhorne, two sons and a daughter-in-law Ronald Jeronis of Pottsville, PA and Stephen V. and Cathy Jeronis of Yardley, seven grandchildren Stacey L. Jeronis Gallagher and her husband Thomas, Jennifer and Lauren Goldberg, Joseph, Monica, Taylor and Nicholas Jeronis, four great grandchildren Thomas and Isabel Gallagher, Tessa Jeronis and Kailey Shadle, and one great great grandson David Aregood, Jr. Relatives and friends are invited to attend her Funeral Mass at 11 AM on Wednesday, March 27, 2019 at St. Andrew’s Roman Catholic Church, 81 Swamp Road, Newtown, PA 18940. Her interment will follow at 2:45 PM at Sacred Heart Cemetery, Clay Street, New Philadelphia, PA 17959. Friends may call Wednesday morning from 10-11 AM at St. Andrew’s Church. In lieu of flowers, memorial contributions, in Helen’s name, may be made to the Alzheimer’s Foundation, www.alzsfdn.org.